One of those items that has instantly reminds me of my childhood is my Snoopy money box. It sat proudly on my window shelf, with me putting my weekly pocket money in. 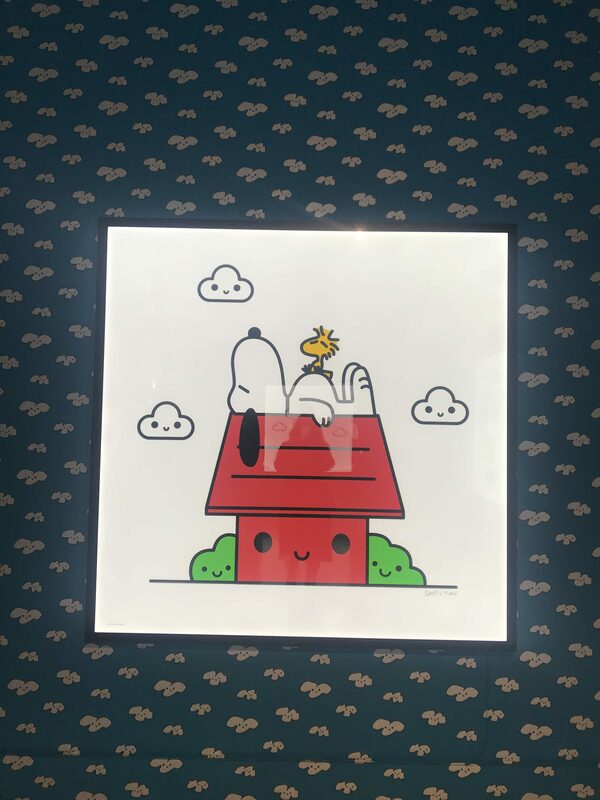 Snoopy is a part of all our lives, however big or small, I am sure all of us have a memory of him and the cartoon strip. And that is just it: Charlie Brown, Snoopy and the rest of the Peanuts gang have filtrated so much of our lives. 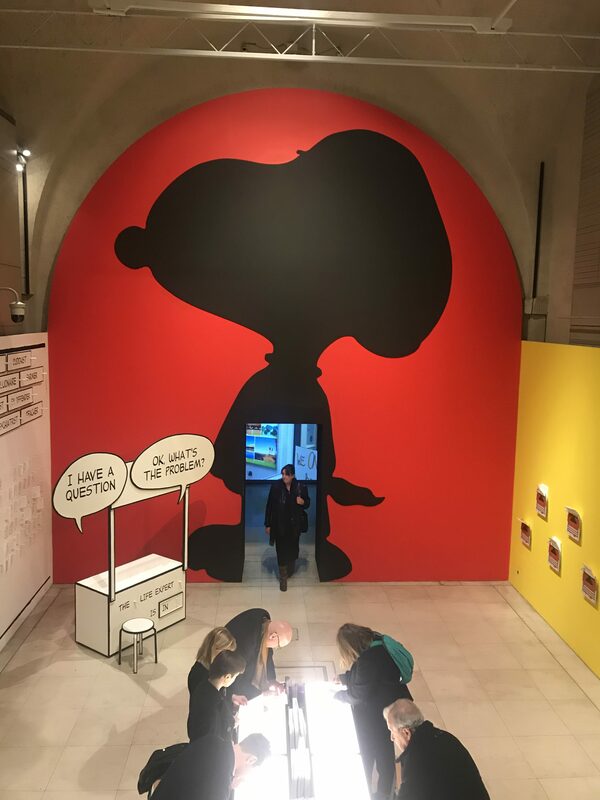 And although it may appear childish in its simplistic cartoon drawings, it really is anything but childish, as the latest exhibition at Somerset House shows. 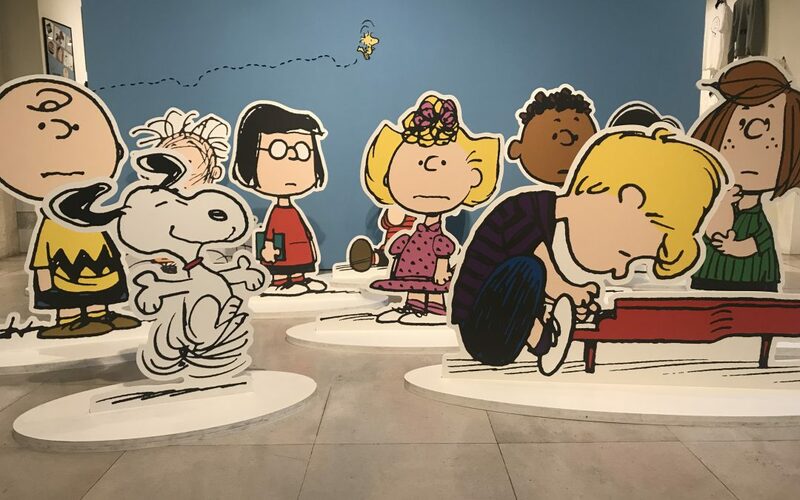 The exhibition is carefully curated between giving biographical detail on the creator, Charles Shultz, maybe explaining his outlook on life, and how this in time, influenced the comic strips of Peanuts and the subjects it covers. This is where the depth in those simple line drawings is really explored: Existentialism, feminism, stemming racial hatred, anti war and even the quest for perfection. 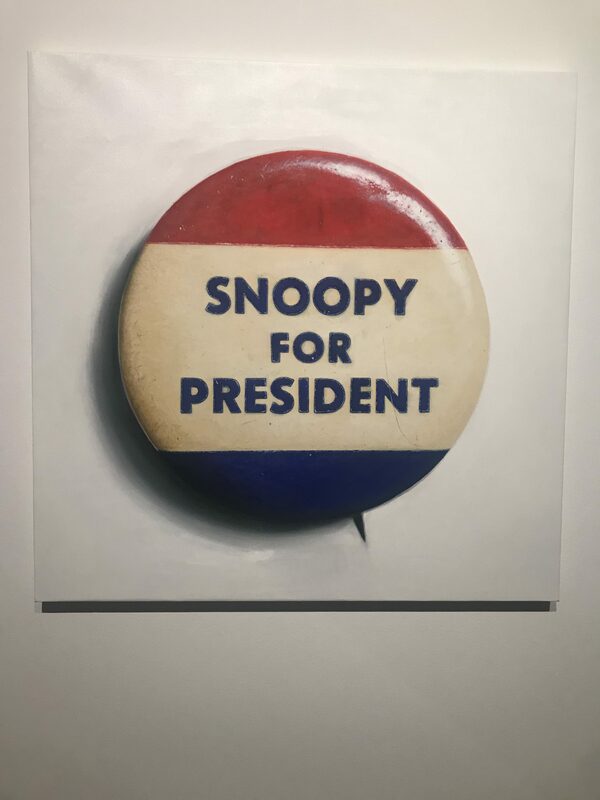 The popularity of the comic strip inspired much more artwork from different artists, and the exhibition shows work inspired by Peanuts, including Turner-prize Helen Marten. 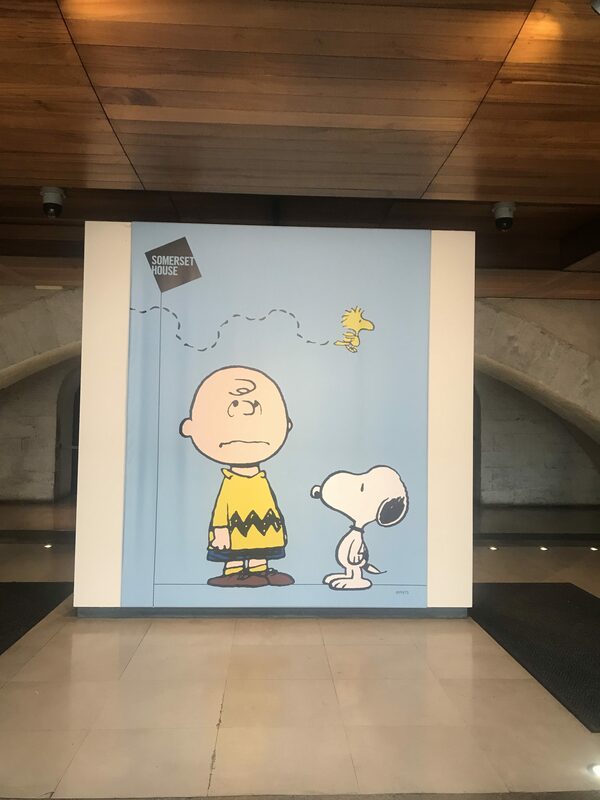 But for me, a look into those strips that explored those feelings we can all have such as inadequacy, misinterpreted bossiness (I found a new respect for Lucy at the exhibition!) and loneliness were what stole my heart. The overriding message was that we should try to understand each other better and try to be kinder. The finale of the exhibition sees you being invited to create – using the light boxes to create your own sketch to put into the typewriter. 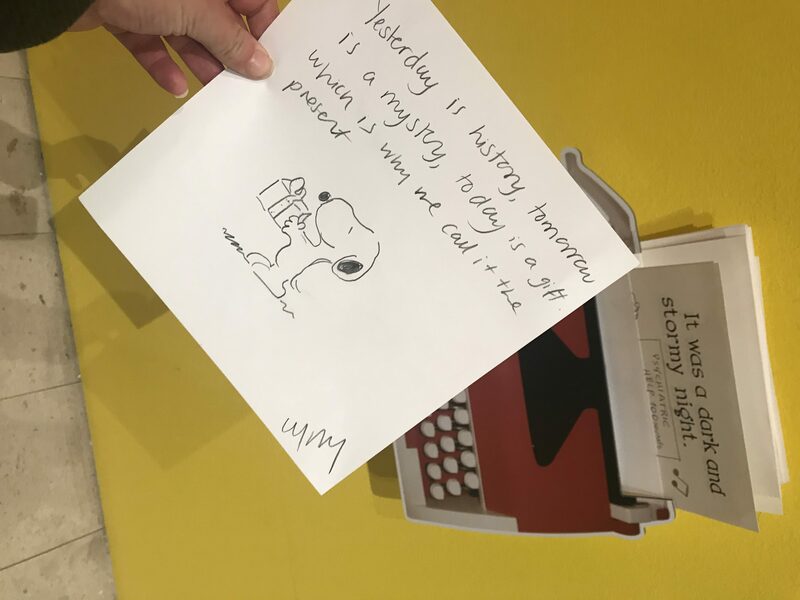 Before I knew it I was doodling and thinking philosophically and helping Snoopy finally get some material for his long awaited novel. 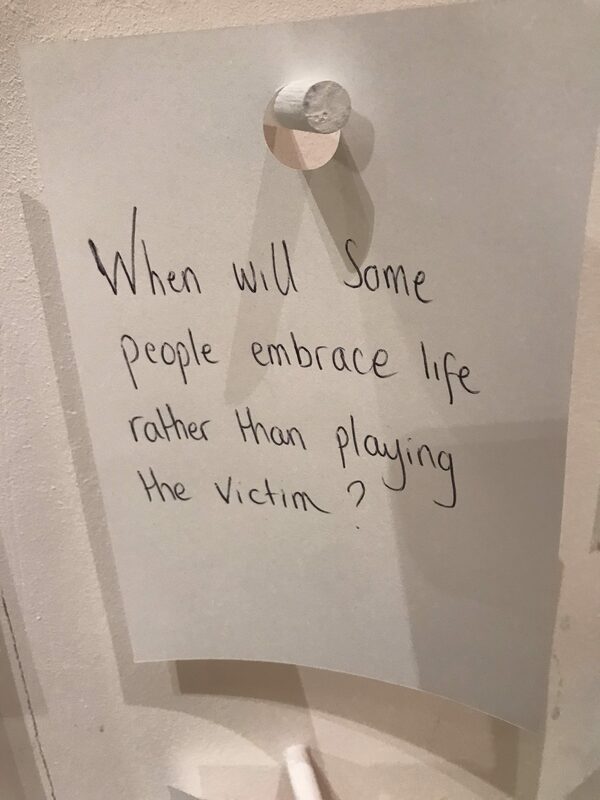 There’s even a wall for those existential questions we would like answered. 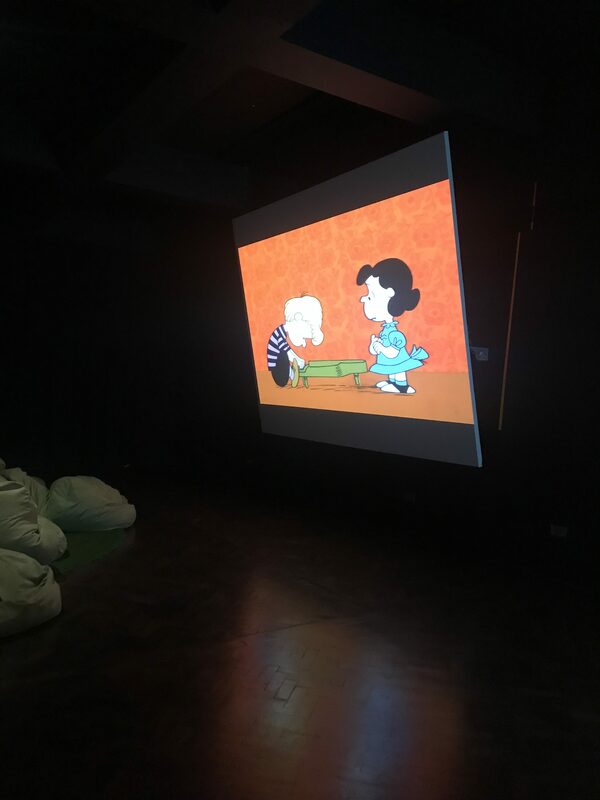 Of course, if the exhibition overwhelms you, you can go pull up a bean bag and watch the cartoons on the big screen. Entrance is £14 / £12 (concessions) and free for under 12s. For more information see the Somerset House website.